@Step1 - Boil the eggs and shrimp. @Step2 - Cut the loaf into small cubes, fry until golden brown in the pan. @Step3 - Grind the leaves of lettuce. @Step4 - Collect the salad: fried croutons, lettuce, eggs, large cut, peeled shrimps. 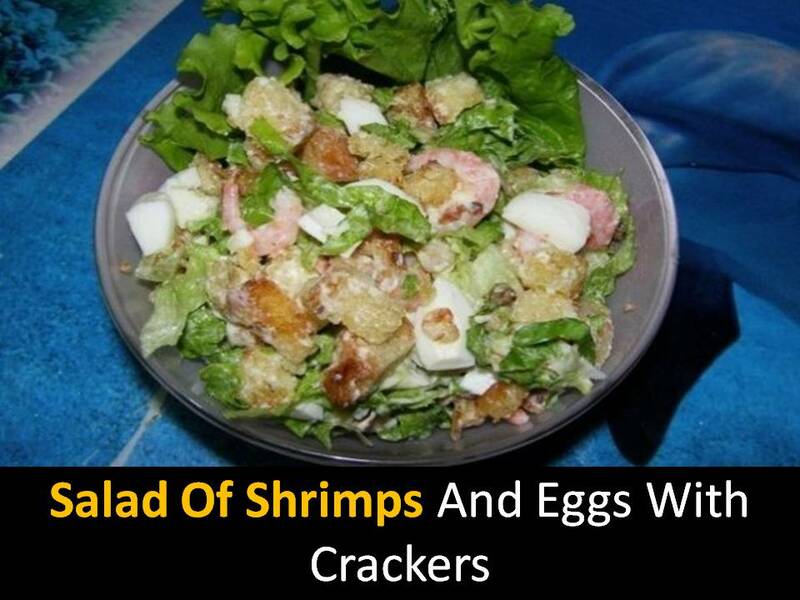 @Step5 - Gently stirs season with mayonnaise, sprinkle the salad of shrimp and eggs with crackers with salt and pepper, and decorate with greens.